It's no secret that I'm passionate (read: a snob) about coffee and I enjoy spreading the passion when I can. I will tell you to dump out that extra-hot triple-shot vanilla soy latte from Starbucks and try a "real" cup of coffee. I get a handful of emails asking for recommendations on coffee gear and starter kits, so I thought I'd do a little post on what I personally use at home. Note, this is not comprehensive in any way and I won't go over actual techniques (there's plenty of professionals who have written about and youtubed that), but it's what works for me. It's a ritual I greatly look forward to. My preferred method of home-brewing is the pour over. Specifically, I use the V60 ceramic dripper from Hario. But before I get ahead of myself, let's talk some other basics. Scale: I use a .1g scale to weigh out my beans and measure the amount of water I end up using for the pour. Another, perhaps better, option is the scale from Hario because it has a built-in timer. Grinder: The grinder I use is not the best for drip coffee and is intended more for espresso, but it gets the job done. During the power outage last year from the hurricane, we bought a Hario hand grinder so we could continue the morning ritual. It's much more wallet-friendly and it doesn't hurt that it sits prettily on the counter. For something in between, I have heard good things about the Baratza Virtuoso and the even cheaper Encore. I also try to clean my grinder every once in a while with Grindz. Kettle: For pour over, you really need a gooseneck kettle. I have three (oops). But, what I really use now is the Bonavita electric kettle. It lets me set the temperature for the water and hold it there. 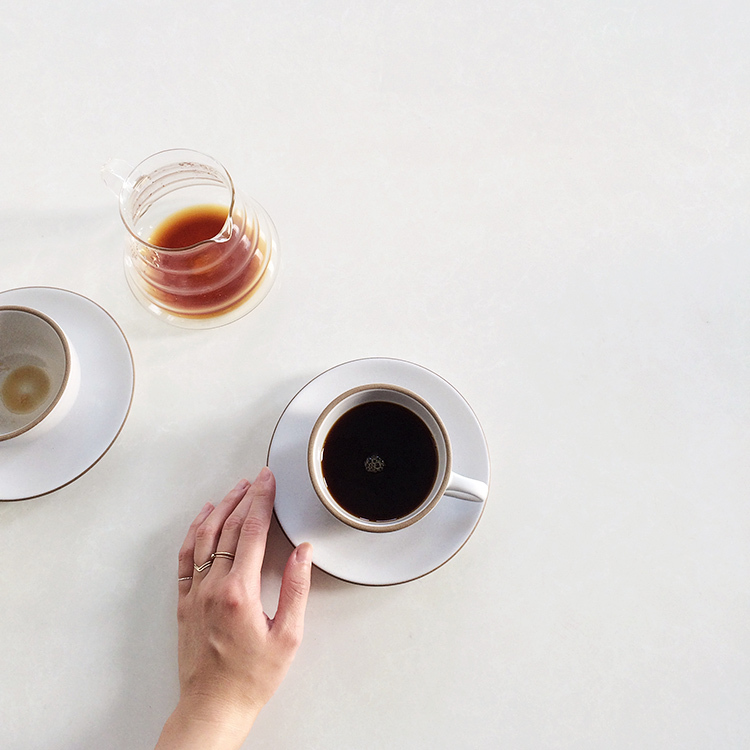 For more traditional and "Instagrammable" versions, you can get the one from Hario or this particularly beautiful one that Blue Bottle sells. Got all that? After that, all you really need are V60 filters and the optional range server. And of course, now that you have your Porsche setup, you can't go putting any old engine oil into it (please excuse the horrible analogy); for beans, I regularly buy from Stumptown and Blue Bottle and always check the roast date. When I travel, I always try to bring back a bag of beans from a local roaster that I enjoyed. P.S. I moved apartments. Again. More on that to come. Lovely post. I am not much of a coffee lover but these details made me try indulging into it. 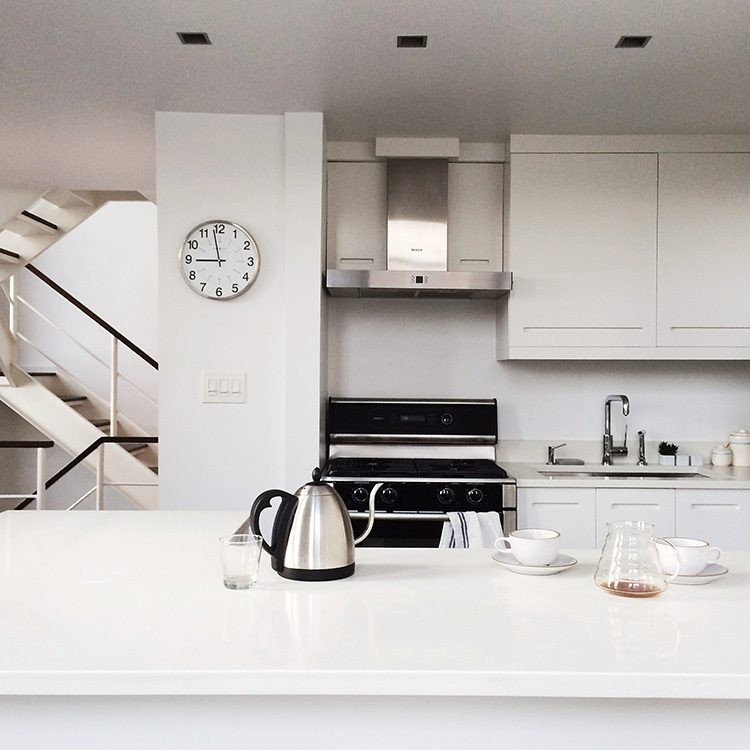 Your new apartment looks beautiful and so full of light. I love your interior shots so do post more of your new apartment. I've been meaning to ask you about all the coffee contraptions so just as well that you're covering it here now. BTW, I was at my favorite local store in Hampshire yesterday and saw a Kinfolk book. I flipped open and saw your photo and literally squealed out loud. Thankfully, the staff there know me pretty well. I was like a proud mama running around showing your photo to everyone. love this post, i am a coffee...uuhum snob too, but I don't have the sophisticated equipment yet. thanks for sharing, love your work too, can't wait to see your new place. I love a good pour over! My favorite coffee is made with a syphon. Try it out when you get a chance if you haven't already. It makes the smoothest cup of coffee you'll ever taste! You are a coffee genius. Love this, and so excited to see pics of your new place! Mmmm the coffee shop I go to (to get tea, not coffee, since I admit I hate coffee) uses the Bonavita. Who would have thought an electric pot could be so elegant. thanks for sharing your coffee tips! i can't wait till i graduate and get my own place for some real coffee. dining hall coffee really makes you appreciate the good stuff when you can get it. I love my coffee too... did you find that going to Australia made you even more of a food/coffee snob? I know it did for me lol... Being in Melbourne, you are exposed to so much good coffee that I have wondered how I will adapt when it comes time to go back to North America. How I love my morning cup of coffee! Just wanted to say I love reading your blog and look forward to all your posts! Discover powerful 'biohacks' to fire up your brain, boost focus, memory, concentration and clarity for a super charged life. Find My Rice is the ultimate hospitality search engine. It’s a one stop leading edge service that connects suppliers, coffee grinder, equipment providers, business owners and displays individual professional profiles.Find My Rice is efficient – you’ll connect with others straight away without fuss and it’s so easy to use. With such a fast paced industry, it’s vital that Find My Rice will be there matching you step by step with proficient and user friendly technology. Java Times Caffe is the only franchisers who help franchisee not only providing financial help but also by choosing best location where coffee shop should be opened. 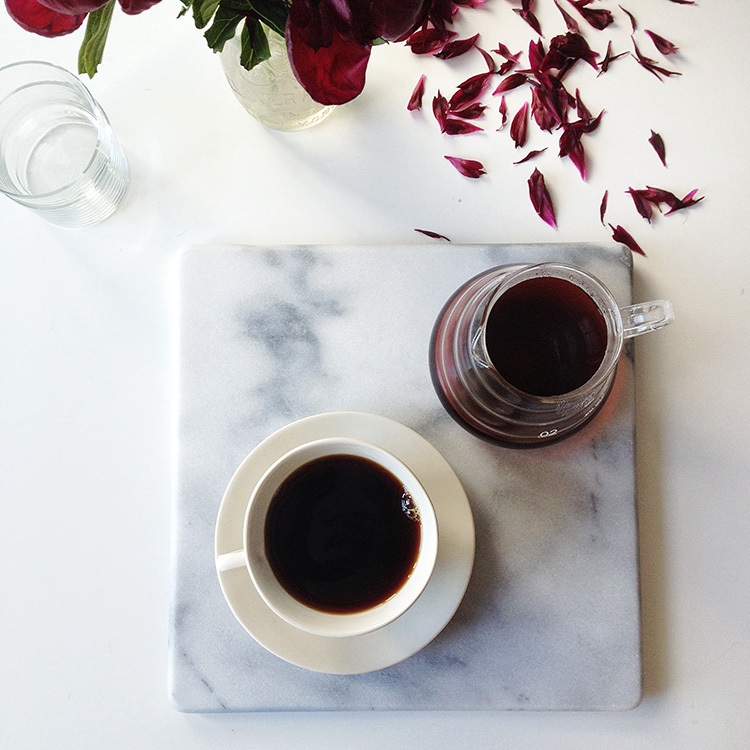 Good post for a coffee drinker like me, thank you for sharing your coffee tips. Oh my god! You are a coffee genius. Love this, and so excited to see pics of your new place!